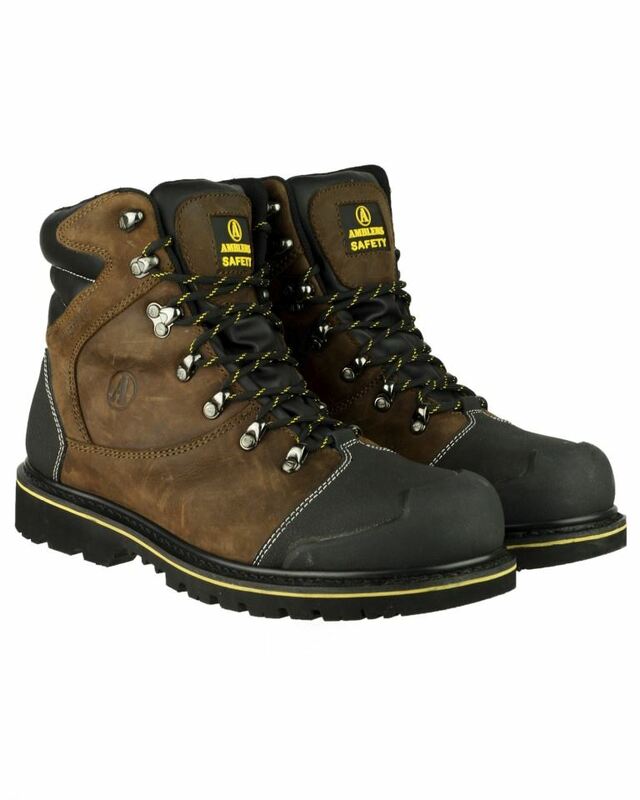 FS227 is a heavy-duty industrial boot profiting from a Goodyear Welt production. 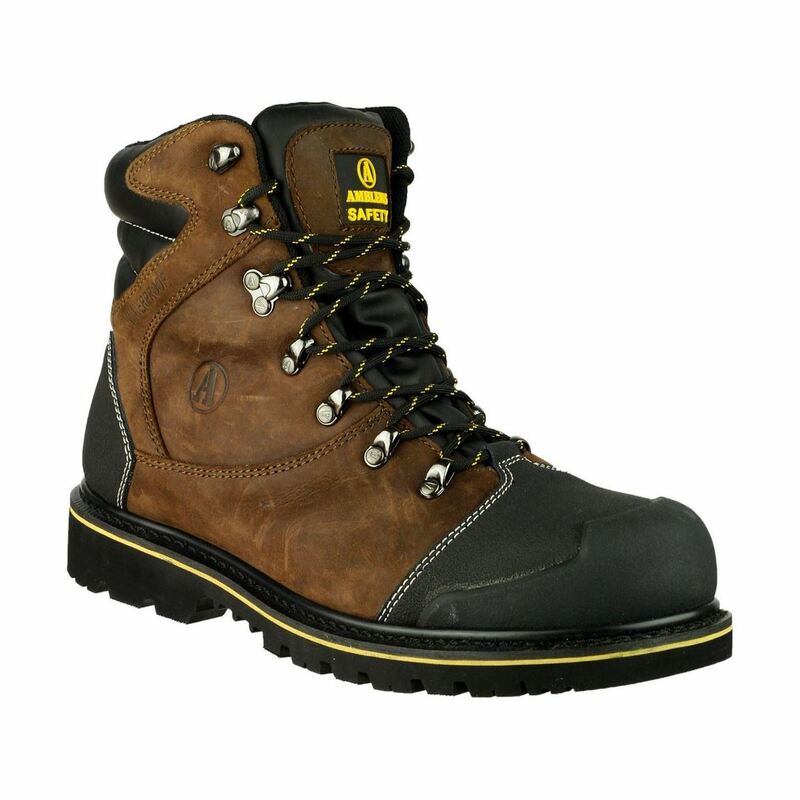 The Rain-or-shine boot is made with entirely waterproof Nubuck leather upper. Safety protection is specified via a lightweight midsole and composite toe. 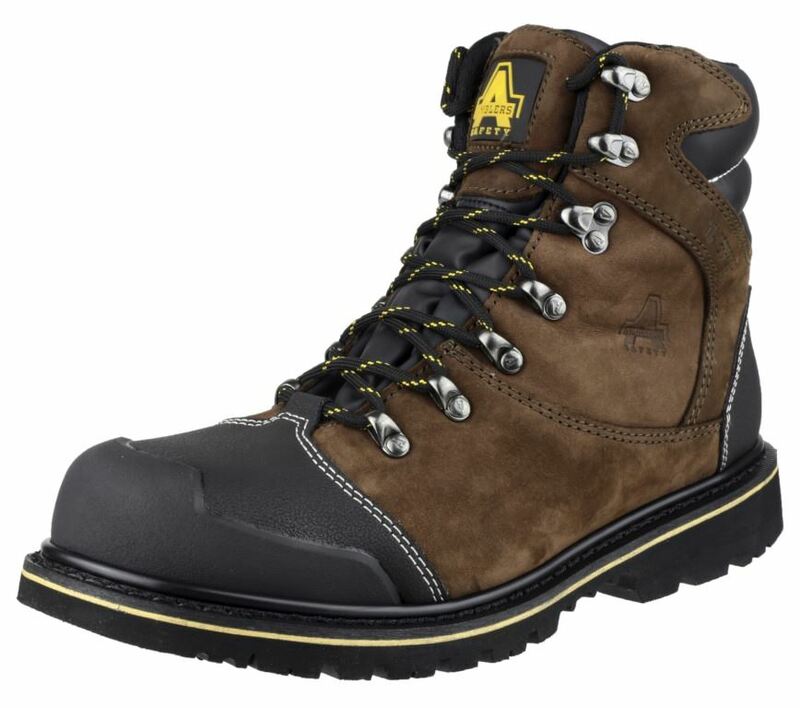 Features include gusseted tongue, padded collar, rubber toe and heel guards, upper speed-lacing hooks, antibacterial footbed, antistatic, tough D-ring lace holds and energy absorbing rubber sole unit. Includes embossed Amblers ‘A' logo. Penetration resilient sole up to 1100 Newtons. 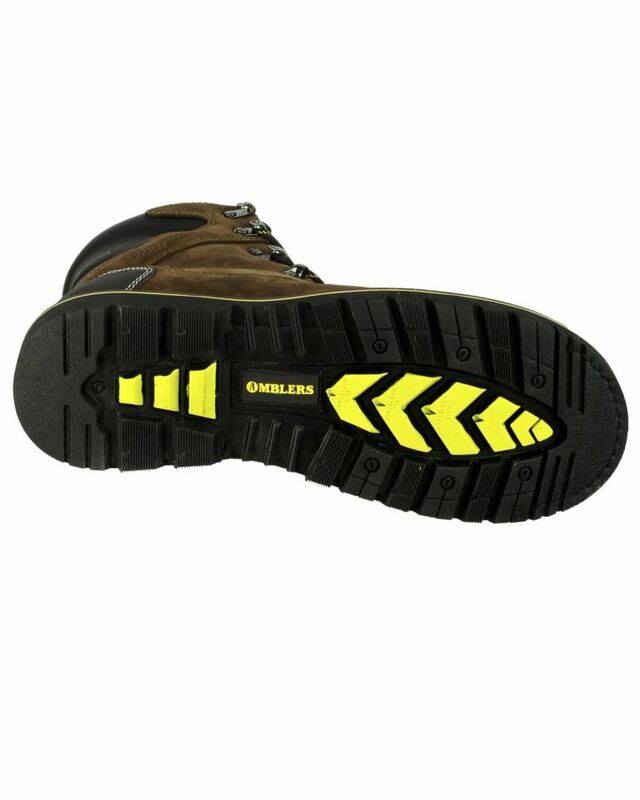 Energy & Antistatic absorbing heel. 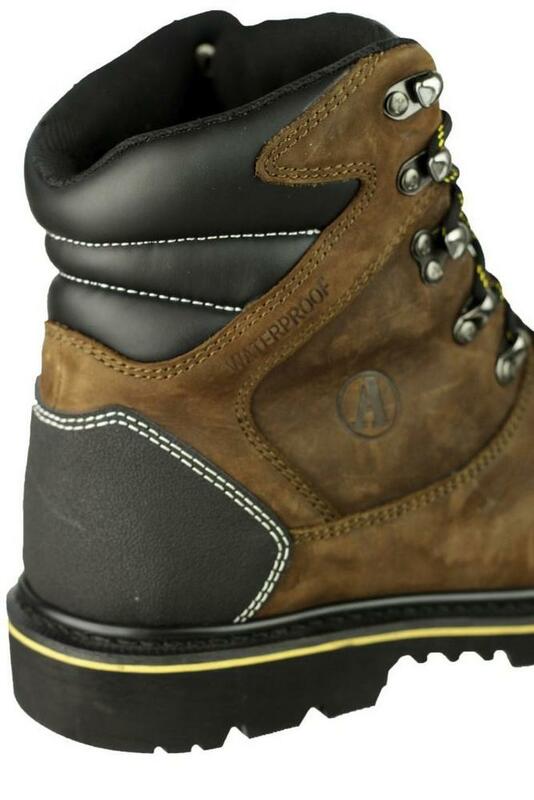 Water-resistant upper & Waterproof lined. Padded gusset tongue and collar prvent debris getting in to the boot. 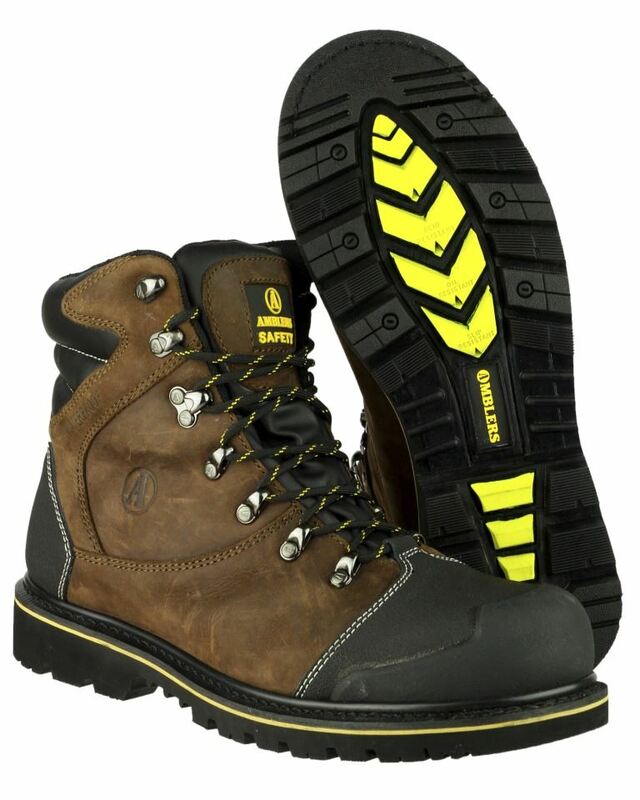 Rubber sole resistant to 300°c alkalis/acids, oils and solvents. Looking for more? You can also view our Thermal Wellingtons. Or you might be interested in our Work Polo Shirts Category.